This is an on-line resource for commercial vegetable producers, with information on all aspects of production. 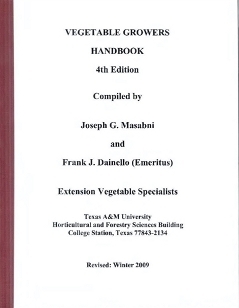 The Texas Vegetable Growers Handbook was compiled and edited by Drs. Joe Masabni, Frank Dainello, and Sam Cotner.